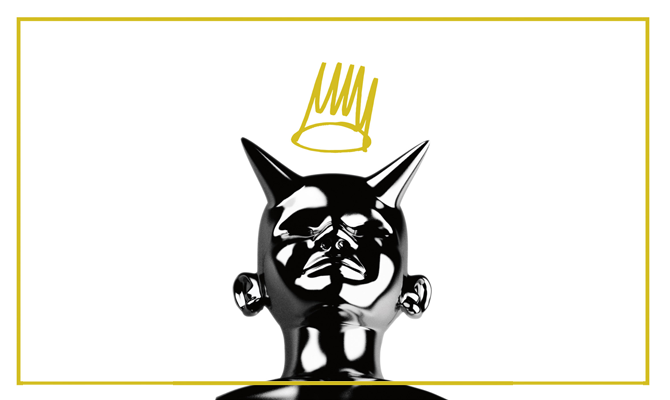 In case you're not one of the lucky select few who clearly have no job or life concerns to get up for in the morning and so missed the Born Sinner listening party in Charing Cross a few days ago (no I'm not motherf**king bitter), or haven't capitalised on the album's *cough* "leak", Cole today released Born Sinner to stream via his website, bornsinner.com. Now this album is something you should definitely set aside some time for. This is real Cole, and a far cry from the good-but-not-up-to-Cole-standards Cole World: A Sideline Story. Whether it will outsell Yeezus (as Cole specifically changed the release date to compete with it) is a topic for another post which I've written the first draft of, but until its official June 18th release just enjoy the epic epicness of J Cole's Born Sinner. And follow @Rawfunnytrue to be notified when our review of it drops.